Several dealers (or is it ex-dealers?) 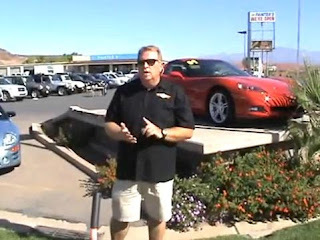 are sharing how the recent dealership closing arrangement under GM and Chrysler’s government expedited bankruptcy proceedings are a violation of “constitutional rights”, “property rights” and “franchise laws.” Since no one is listening to the dealers, who were negatively impacted, they have offered their stories on YouTube for all to see. Since few of us watch CSPAN, this outreach may reach the intended public audience that should hear what has happened. News stories from local media outlets and personal statements make up the Rejected Dealers YouTube Channel. It’s an interesting social outreach from a group who feels slighted that the country pretty much ignored their side of the story. YouTube is giving them a voice and organizing this content under a channel helps make the impact that much more stronger, especially if you spend some time listening to a few of the videos. Some dealers discuss how the government’s Automotive Task Force was given wrong information about how much of a cost the dealerships are to the manufacturers. They feel this information missed the financial benefits the dealerships give the OEMs, the local communities, and the tax base. The dealers are obviously intelligent, articulate business people who are very passionate about the business they or their families built. Each video creates a very personal connection with the dealer and how sorrowful the result of the Automotive Task Force decision is. I know this isn’t the usual marketing coverage I write about on this blog, but it’s a compelling look at how social media can enable grassroots messages in the automotive industry. What’s on this channel is social outreach and giving people a voice beyond their normal channel. The end result is a compelling string of stories telling what has happened to hard-working people who were shafted by a rushed bankruptcy process.